Classic American style - modern technology! 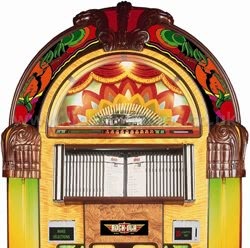 The Rock-Ola Gazelle CD Jukebox has a classic Art Deco style cabinet whose bold graphics and colourful accents define it as one of the most graceful jukeboxes currently on the market. The handcrafted quality of this jukebox is more than evident from the way horned beasts appear to leap with joy on the screen-printed and illuminated glass panels, accenting the centre grille and custom printed arch panels with moulded wood crown and shoulders. The incredible sound quality of the Rock-Ola Gazelle CD jukebox matches its exquisite design with a 900 watt peak music power 5-speaker, dual 3-way system for "live" performance reproduction. 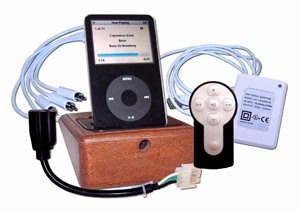 This product is delivered by our dedicated courier service who will contact you by telephone to confirm the delivery day and a time (usually within a 2 hour slot). These Jukeboxes are hand built in America and as a result delivery is usually between 10 to 20 weeks depending on your location. Liberty Games reserves the rights to refuse delivery to any location it is felt cannot be reached in a safe manner.